Hosts Mumbai City FC suffered their third defeat in a row after going down 0-2 to North East United FC in a lop-sided Indian Super League game here Wednesday. After this loss, Mumbai City FC moved down to the third spot with 27 points, while North East has jumped to the second position with 27 points and are in the fray to make the last four. Before this match, Mumbai had gone down 1-0 to Jamshedpur FC in an ‘away’ game and 2-0 to FC Goa in their previous home game. North East displayed an aggressive style of play from the beginning and it paid dividends in the fourth minute itself as they took the lead following a splendid goal by mid-fielder Borges. Keegan Pereira made an excellent run down the left-hand side and cut it back to Borges, who had ample time and space. The 26-year-old Borges then found his spot and placed it to the top-left corner of the goal, to take his side ahead. While the North East defense was up to the mark as they kept the Mumbai strikers at bay for the most part of the first half, Mumbai custodian Amrinder Singh was kept on his toes. And 34-year-old Ogbeche doubled the lead in the 33rd minute. A powerful cross from the right flank by Reagan Singh reached skipper Ogbeche, after Panagiotis Triadis failed to collect it. The ball then ricocheted off the knee of Ogbeche and rolled into the net. With the goal, Ogbeche became the leading goal-scorer of this season, with 12 strikes to his name. Mumbai had a couple of good chances but failed to convert on both the occasions. At the half-way mark, North East led 2-0. After the change of ends, the pace of the game drastically dropped. 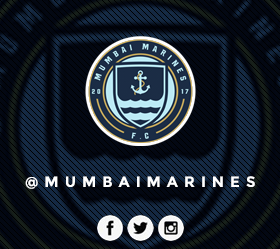 In the 57th minute, Mumbai had a chance to pull one back. Marko Klisura failed to get on a long ball from Raynier Fernandes under his control as the North East goal-keeper Pawan Kumar collected it safely.